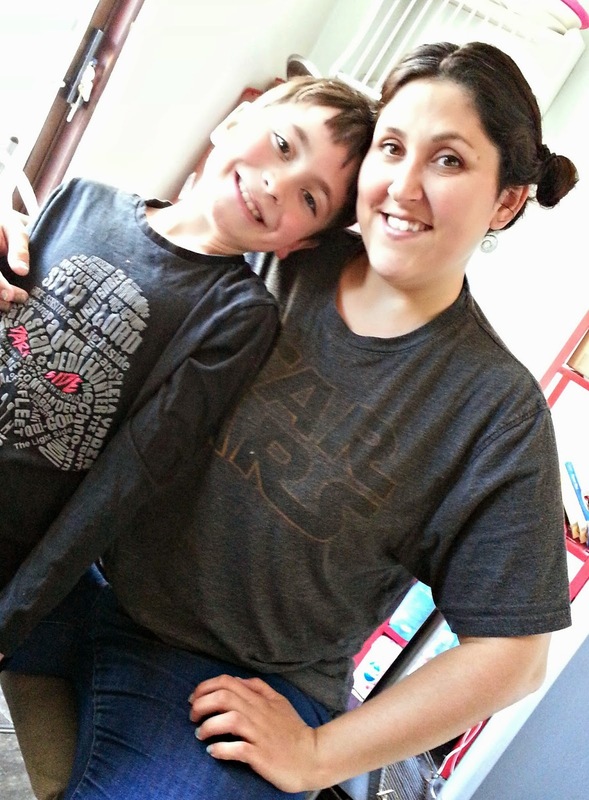 My sugar coated life...: Celebrating Star Wars day on May the 4th! 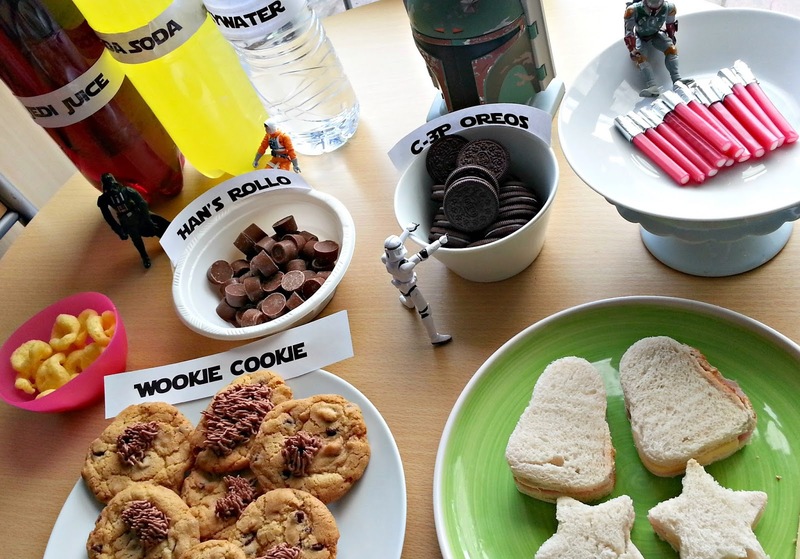 Last year I decided to surprise Fin by hosting a themed family day in honour of Star Wars day which falls on 4th May. Each year more and more fans are celebrating the day which is making it easier to get involved in events locally and online. 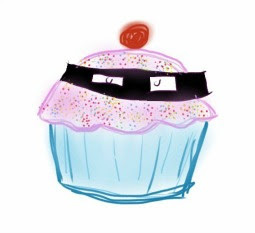 Some people spend the day watching ALL the movies, but I didn't exactly relish the idea of sitting in front of the TV all day so after doing a little Pinterest research I decided to create our own little house party. For me, finding ways to share Fin's interests is challenging as he's at the age where he just wants to play games with his Dad and watch TV, so this fun day was an excellent way to indulge in his passions with him and spent quality time together as a family. Do you celebrate May the Fourth? 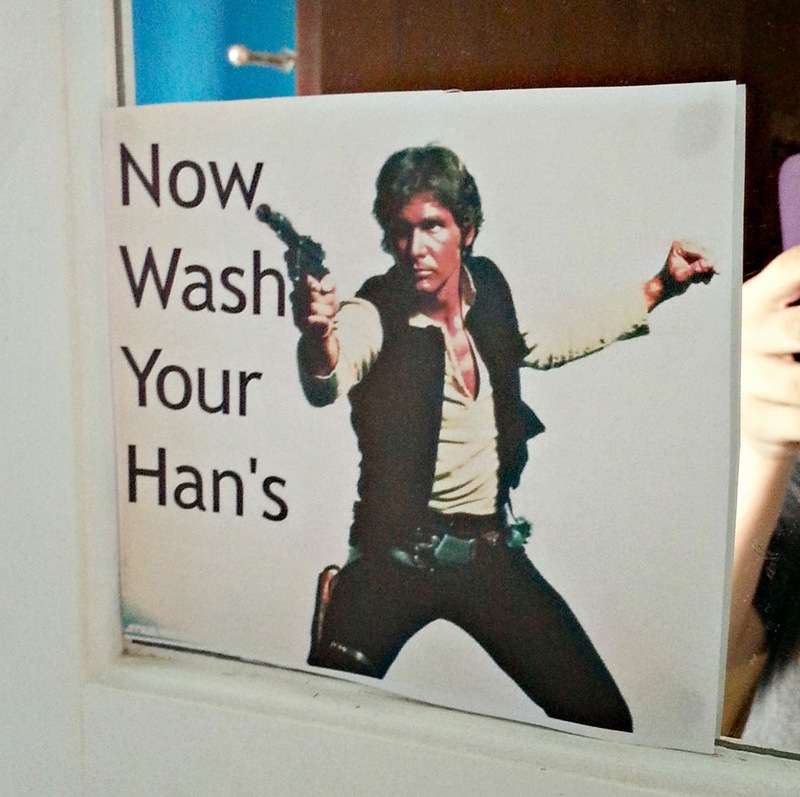 What do you and your family do to 'get your geek on'?! 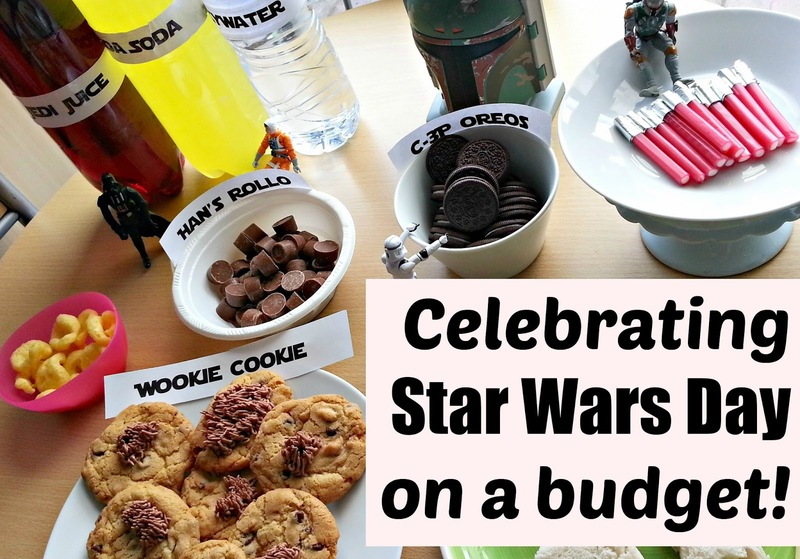 I started a Pinterest board to collate all of my favourite Star Wars themed party ideas here so take a look if you need inspiration! And have you seen the Star Wars range from Lakeland? I NEED that Millenium Falcon cake tin in my life!